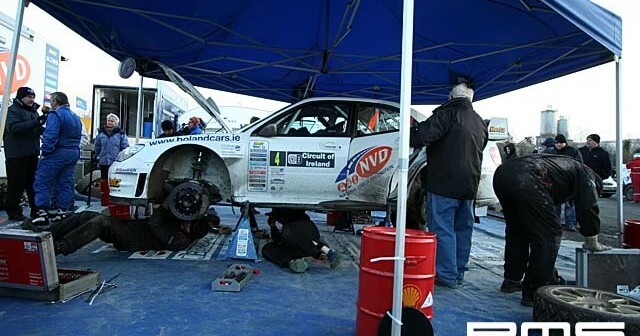 Ulster Automobile Club’s Circuit of Ireland International Rally is probably one of the most recognised sporting events held on the Emerald Isle. Steeped in a long and distinguished history, the world renowned sporting occasion once held the accolade of being the longest tarmac rally in the world! The cost of modern day rallying requires shorter, more compact events, but organisers have ensured that this Easter’s rally will challenge the very best of the Irish talent. Based in Newcastle for the first time since 1992, the headquarters for the 2008 event will be located at the glamorous Slieve Donard Resort and Spa. 10 Tommy Doyle/Tony McDaid (Renault Clio R3) 3h 36m 02s. To purchase images please email [email protected] for samples.